A morning news show that includes interviews, features and banter among the hosts. Talk show covering politics and daily news on weeknights. Jesse Watters examines headlines pertaining to the 2016 election cycle with a rotating panel of guests and via on-the-street interviews. A show featuring parodies of current events, commentary on significant issues and interviews with newsmakers, culture critics and media personalities. Fox News Channel personalities and guests discuss current events. Longtime Fox News contributor Laura Ingraham anchors the 10 PM slot with this new weekday series. A look at the day's top news headlines and panel discussion hosted by Bret Baier. Fox News debuts its first late night weekday show. Shannon Bream moves from the afternoon to anchor the nightly series. A news show featuring the top headlines of the day, from pop culture to politics, with a panel of four women vs. one man. 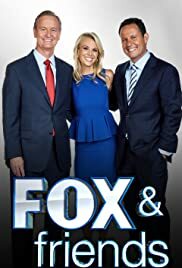 Sunday morning Fox News Channel commentary show has interviews with newsmakers and discussions of current affairs. Mornings are better with friends. Love the show, watch it almost everyday on my treadmill, but Ainsley your outfits are beginning to become somewhat Un professional.tooo tight, way to short, with my new TV I can see pass your thighs which I cover up if I'm baby sitting that morning. Take some advice from Ivanka and have her dress you. She is always professional looking without looking cheap. But you do a great job, just start looking the part. 6 of 22 people found this review helpful. Was this review helpful to you?